Hacksaw Ridge (2016) – I really enjoyed this Mel Gibson directed World War II drama about a pacifist that insists on enlisting in the U.S. Army as a medic but refuses to touch a weapon, which infuriates both his peers and his superiors. It’s a feel good film that follows the typical underdog proves everybody wrong formula, but Desmond Doss’ story is one that absolutely deserves to be told – it is incredibly moving. Andrew Garfield is perfect casting as Doss and delivers a great performance. I also really enjoyed Vince Vaughn as the drill sergeant, playing somewhat against type, but still plenty funny – pretty notable since Vaughn has been terrible in basically everything since 2005’s Wedding Crashers. The last third of the film has some great war cinematography that is quite graphic, but feels authentic and heartbreaking. Hacksaw Ridge is easily one of the better 2016 films I’ve seen so far and for what it’s worth, it currently sits in the top 100 movies of all time on IMDB. 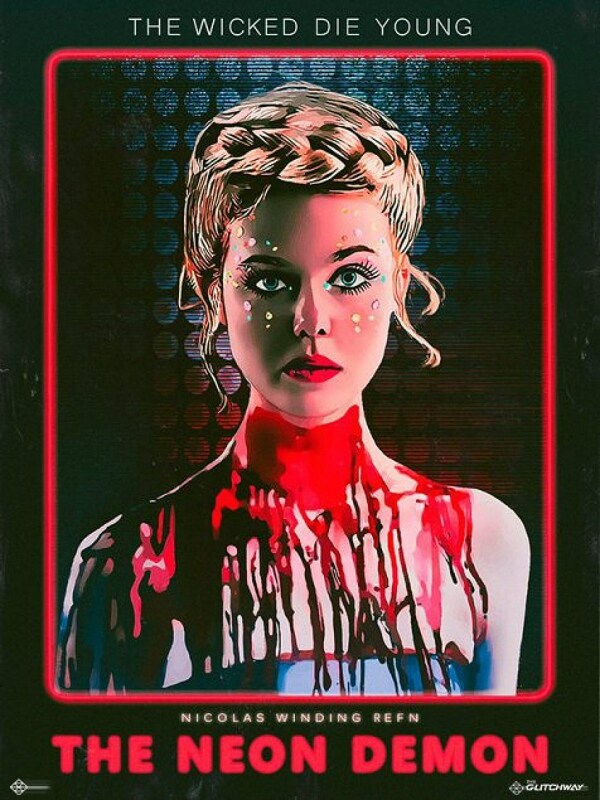 The Neon Demon (2016) – This film from Nicolas Winding Refn (director of the excellent Drive) is the least satisfying – if not the absolute worst – movie I’ve seen this year. I suppose the film is visually appeasing, but it’s completely void of any plot or character development. I can imagine my wife watching it with me and looking my way after 10 minutes like “why are you doing this to me?” It’s difficult. It’s uncomfortable. It’s gross. Mostly it’s just bad. Elle Fanning plays a teenager that has recently moved to L.A. and is trying to break into the fashion industry. She enjoys immediate success and acceptance by the casting directors, being pegged as a future superstar. This doesn’t sit well with the other models and they lash out against her… literally. I’ve seen this movie tagged as a horror film and there’s lots of bloody imagery, but it’s not really a scary movie. The Neon Demon thinks that it’s avant-garde when it’s really just pretentious and boring. One the bright side, Elle Fanning gives a good performance and the costume and makeup departments deserve credit for their work. I watched this on the strength of it making some 2016 Top 10 lists, but whatever those critics saw, I’m not seeing it and I couldn’t possibly recommend this to anyone in good faith. Truly awful. 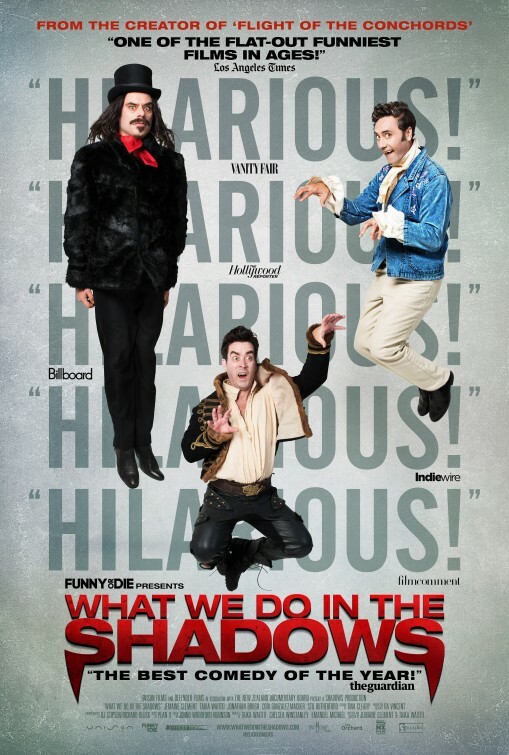 What We Do In The Shadows (2015) – The creators of the hit HBO show “Flight Of The Conchords” offer up this mockumentary that details the lives of a group of modern vampires living together in a flat in New Zealand. There are plenty of laughs as we watch the group deal with the plights of being a vampire – like having to be invited in places and trying to get dressed without being able to see themselves – as well as normal human issues like doing chores and getting along with your roommates. The film really picks up when one of their victims is unexpectedly turned into a vampire and has little regard for the old traditions, like keeping their existence a secret. It’s a refreshing look at vampires as bumbling idiots just trying to survive the day-to-day grind rather than as ominous predators, and the total disregard for human life is pretty hilarious. I laughed a bunch watching this movie and it’s certainly worth checking out.